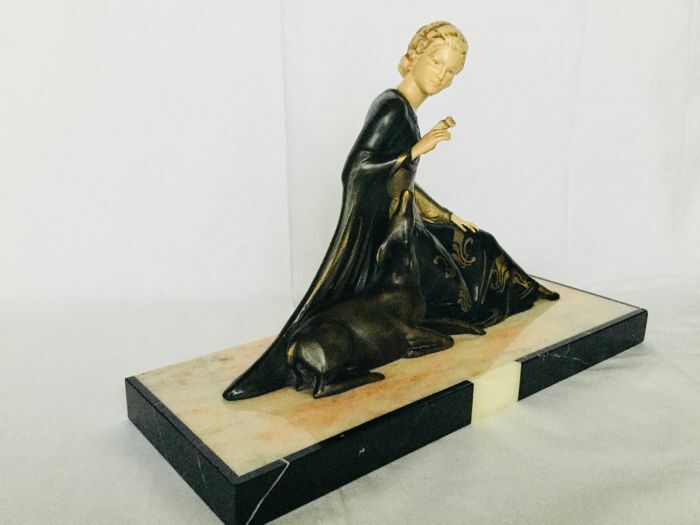 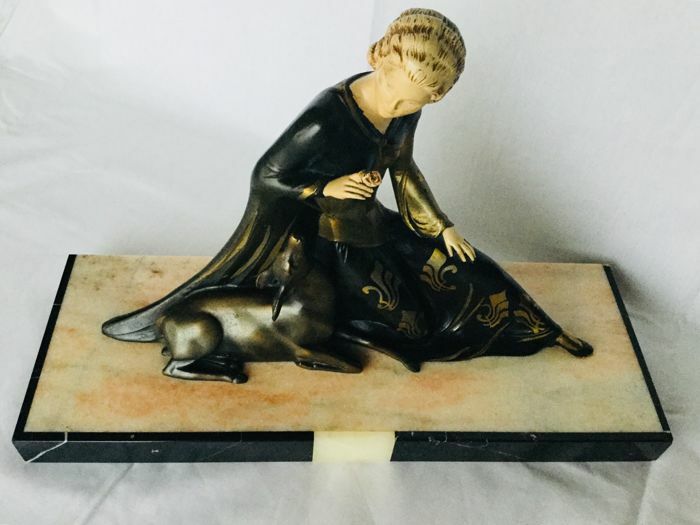 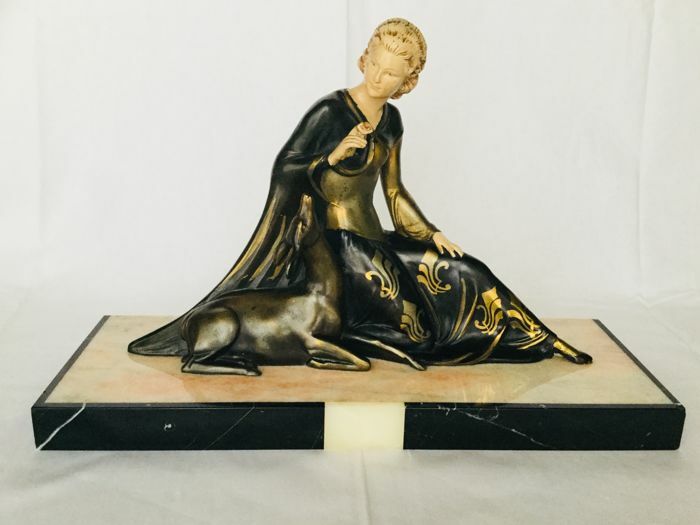 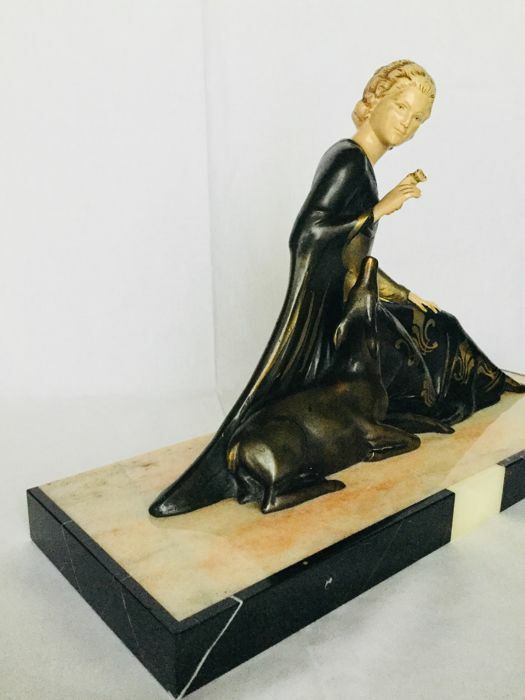 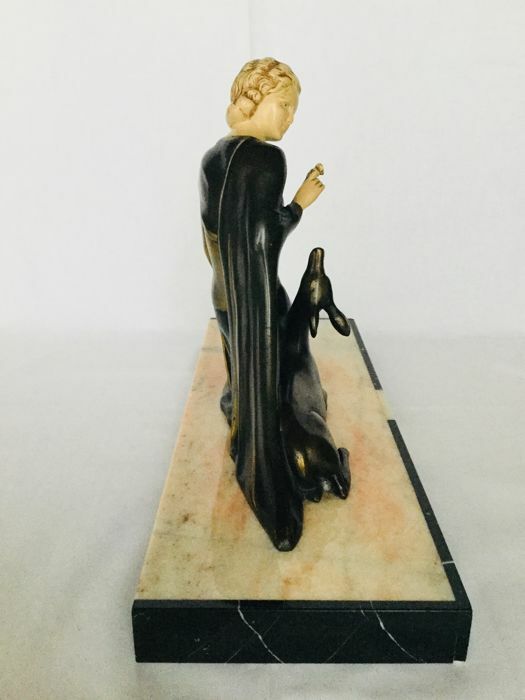 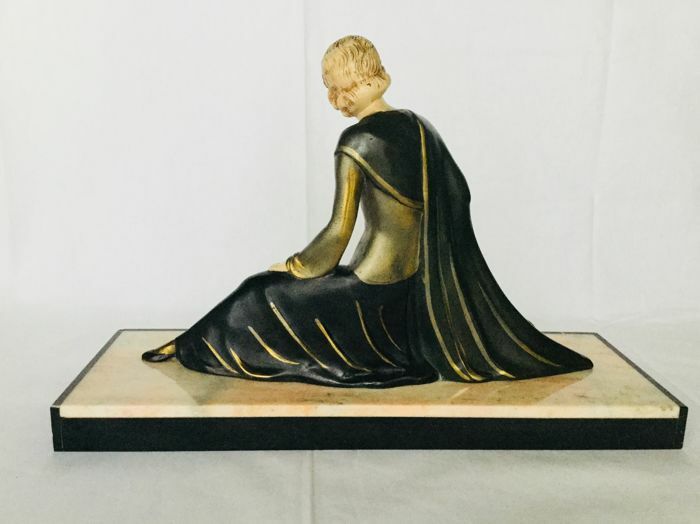 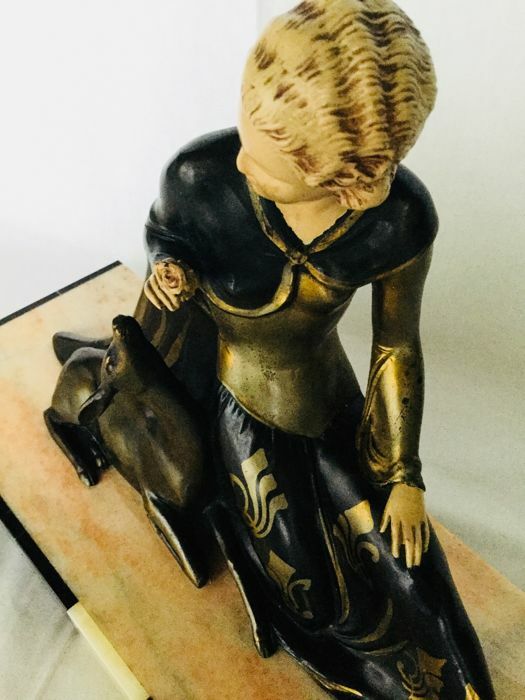 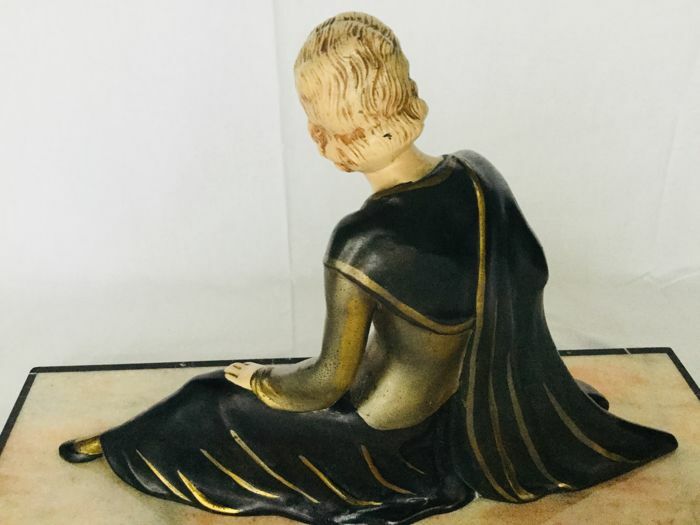 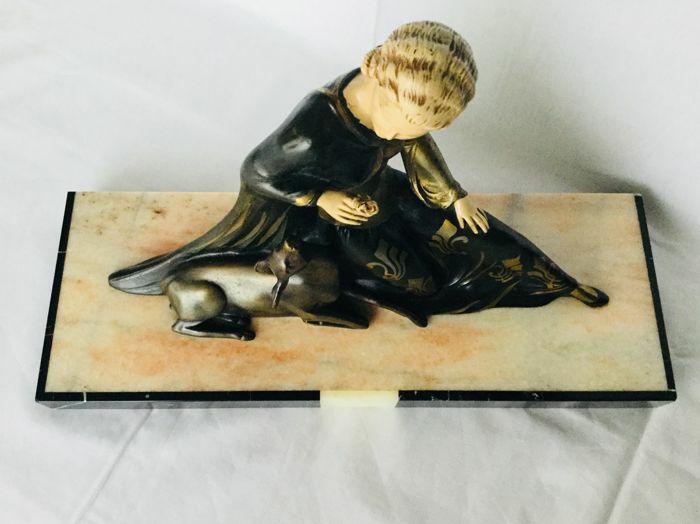 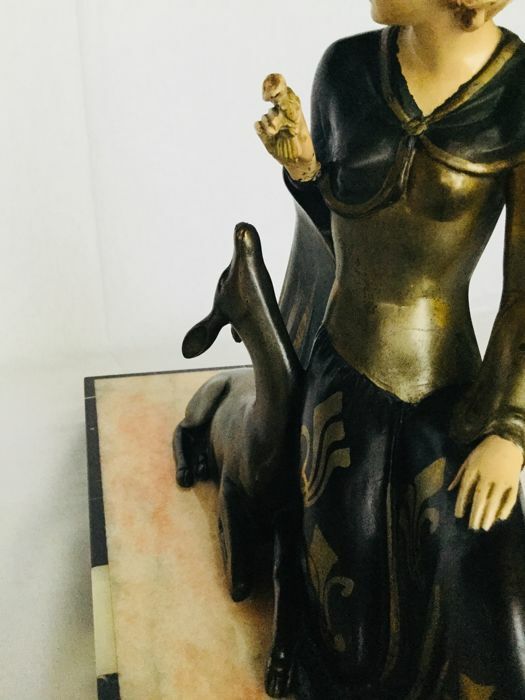 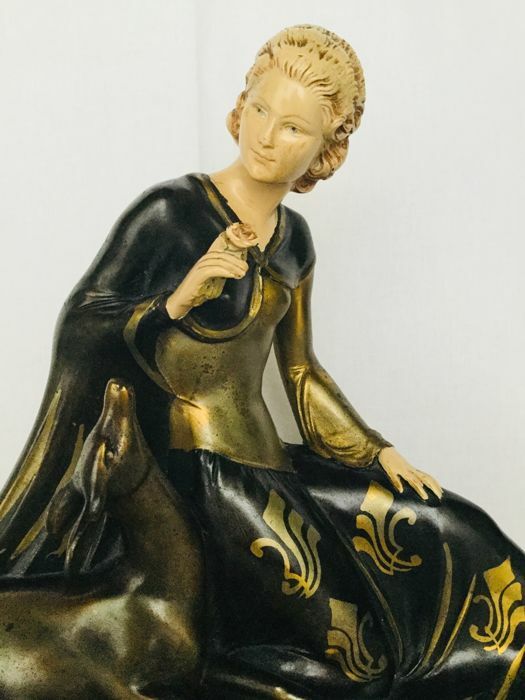 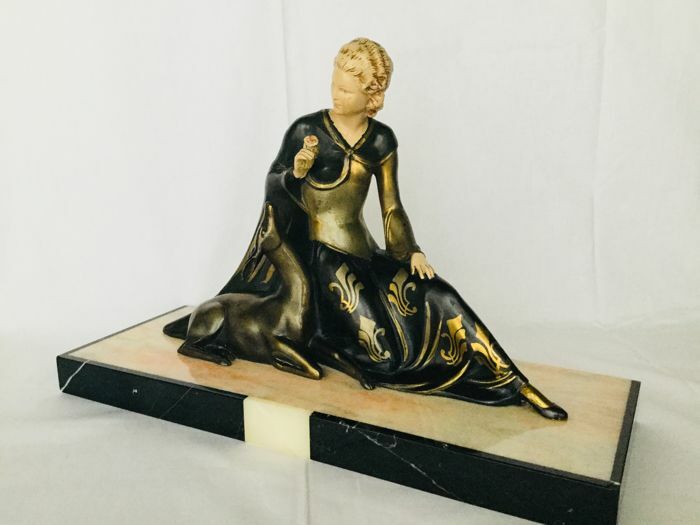 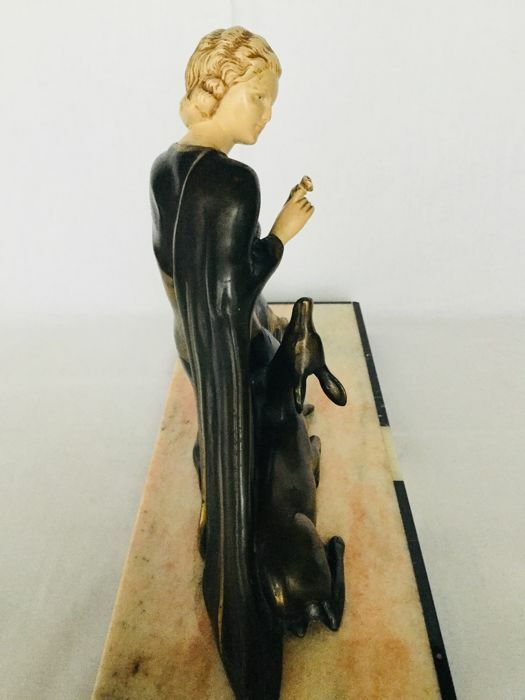 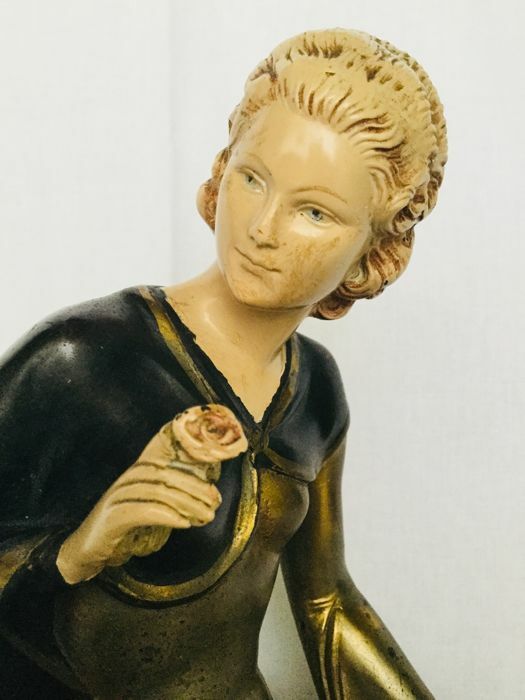 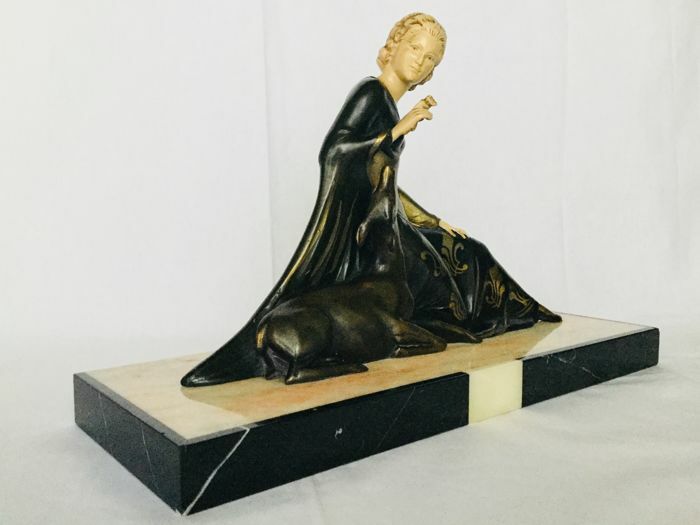 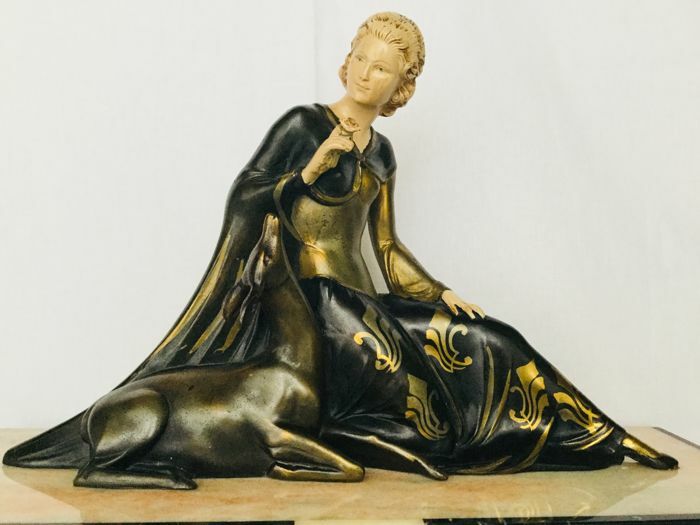 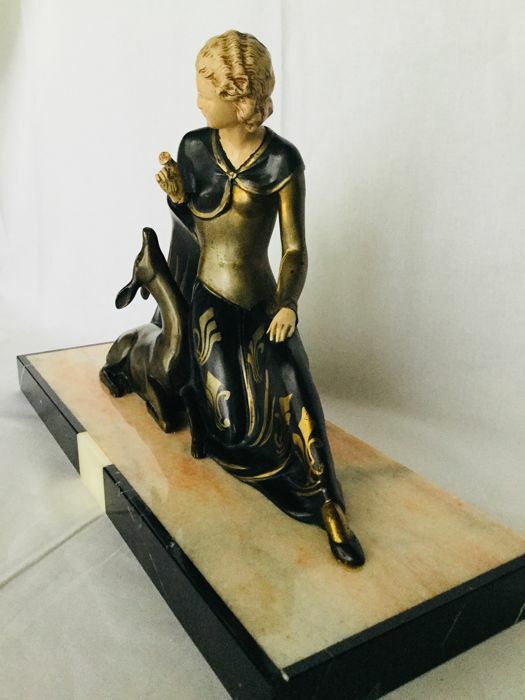 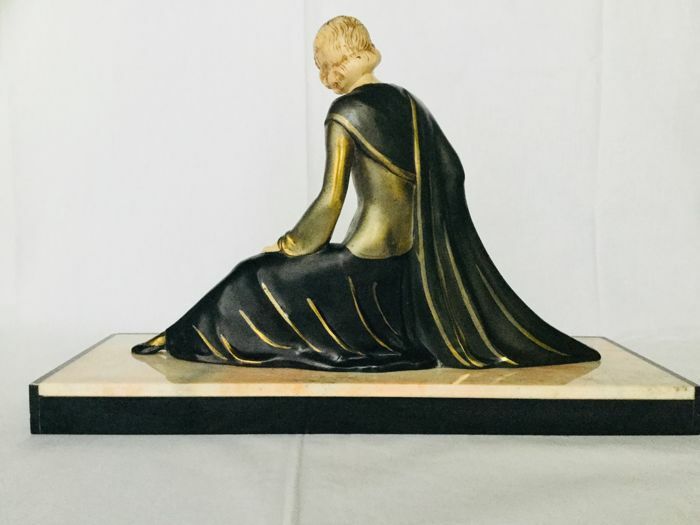 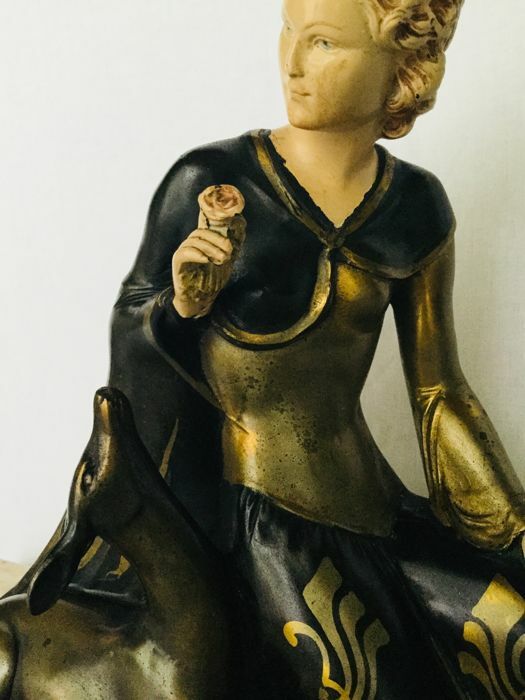 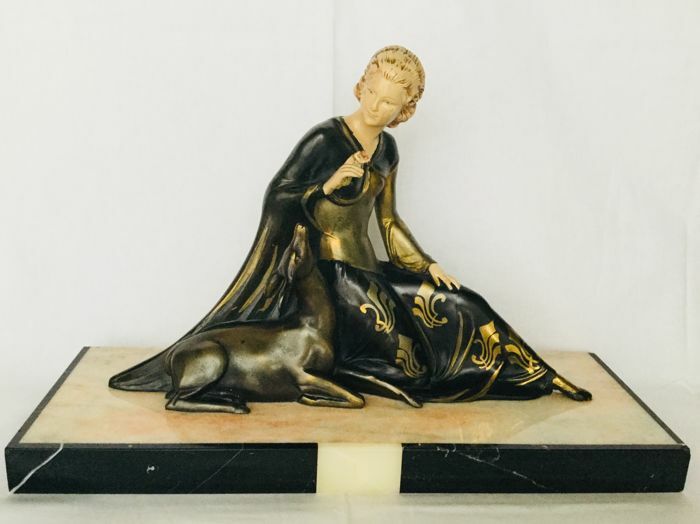 Beautiful Art Deco sculpture signed Roggia. 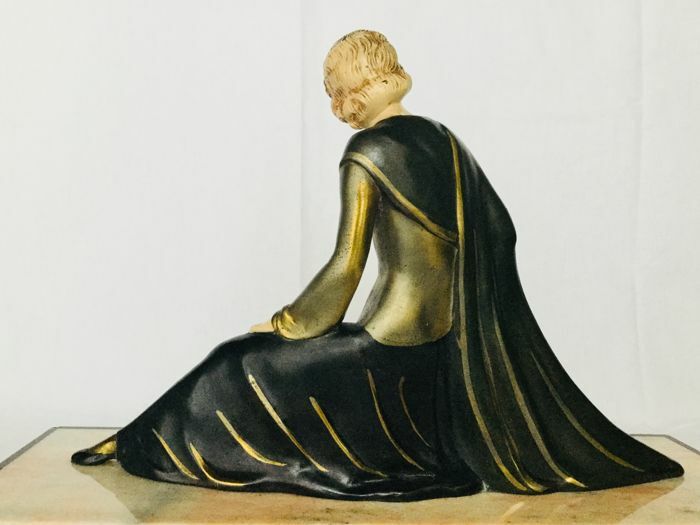 Roggia Menneville, ca 1920/1930 France. 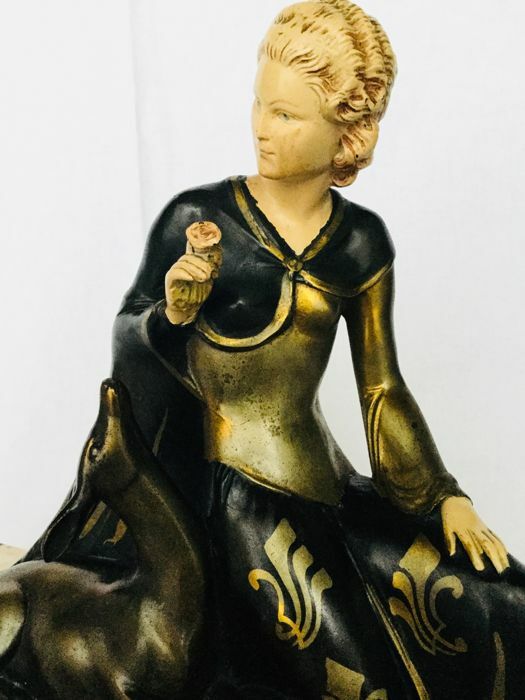 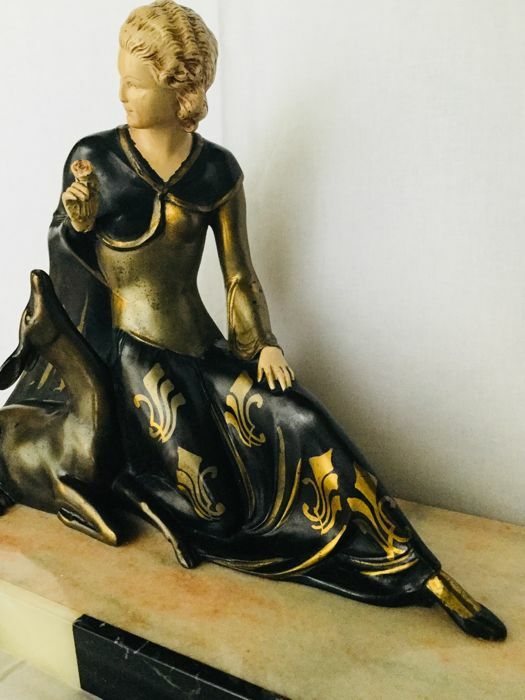 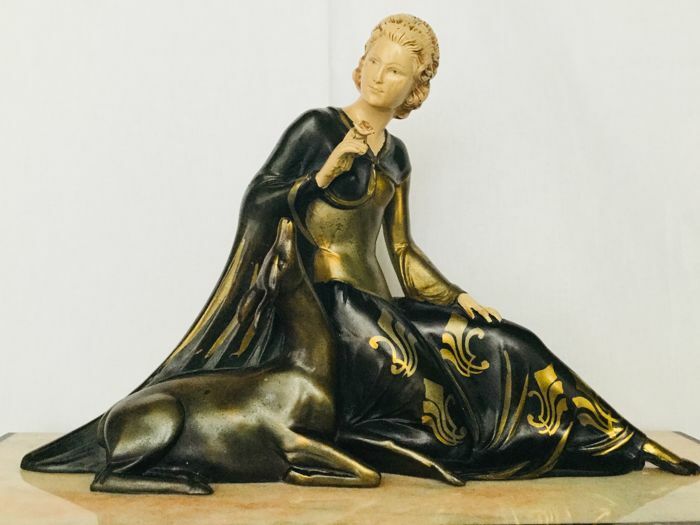 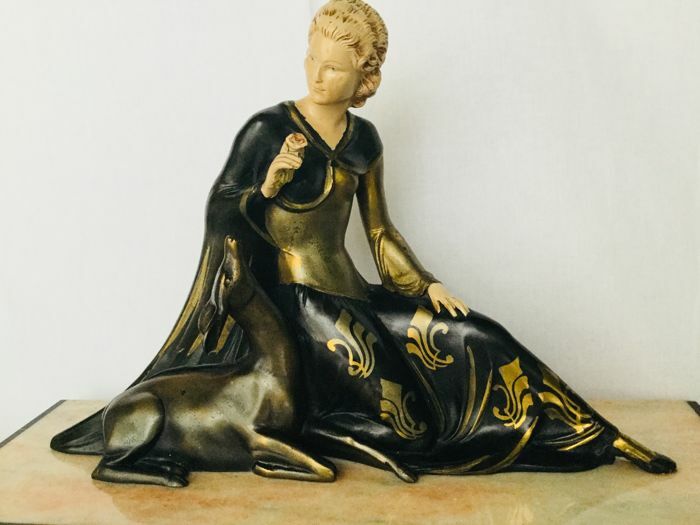 Nice scene of an elegant lady with a fawn sitting next to her that is looking up to the rose the lady has in her hands. 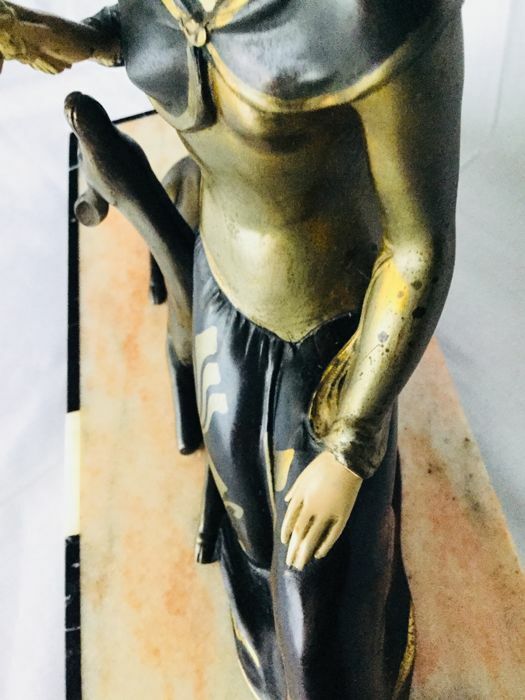 Made from burnished and gilded zamak. 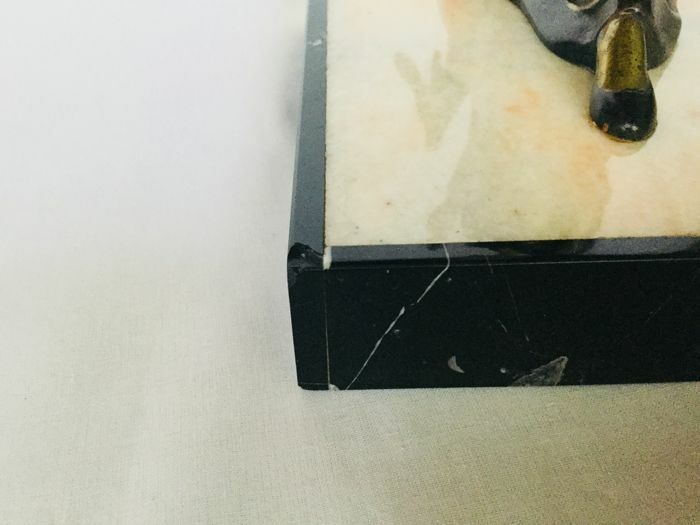 It is fixed on a nice piece of black and white and rose-coloured veined marble. 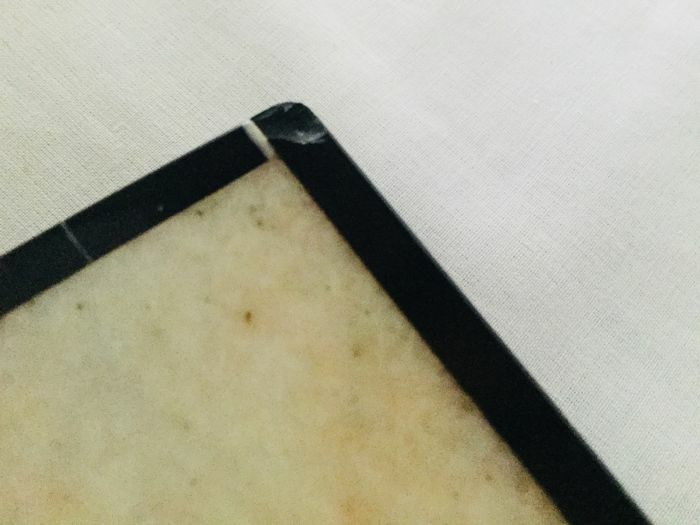 Still with the original paper at the bottom, with natural signs of age. 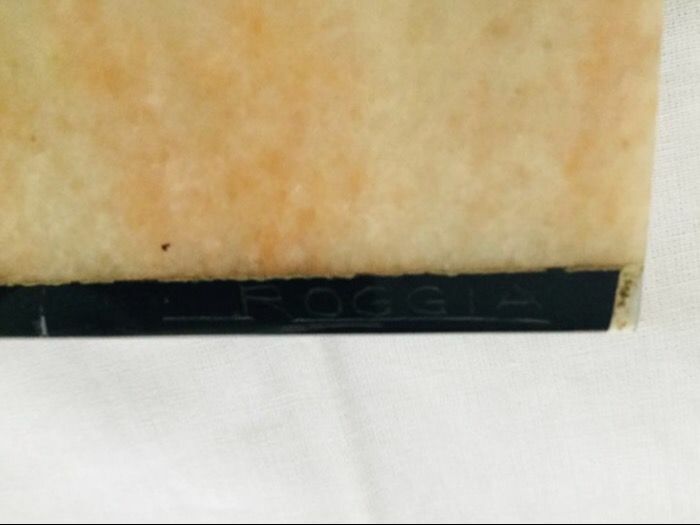 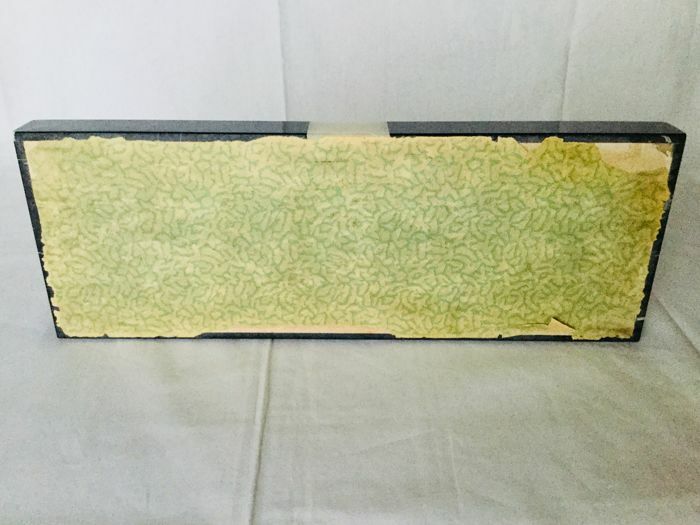 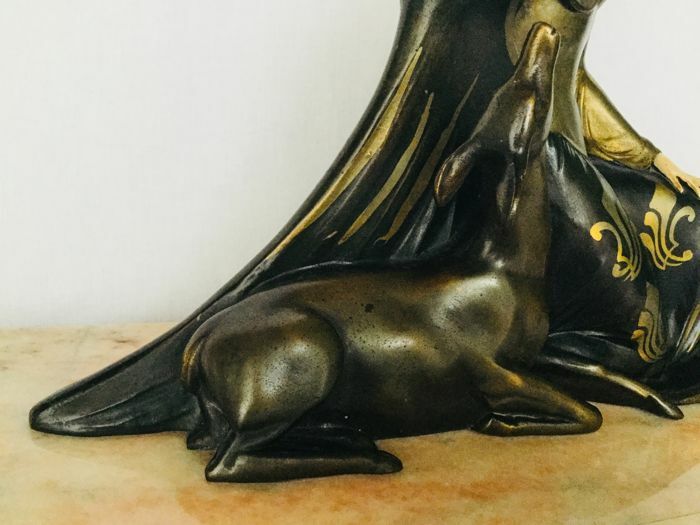 Signed "Roggia" on the edge of the marble pedestal. 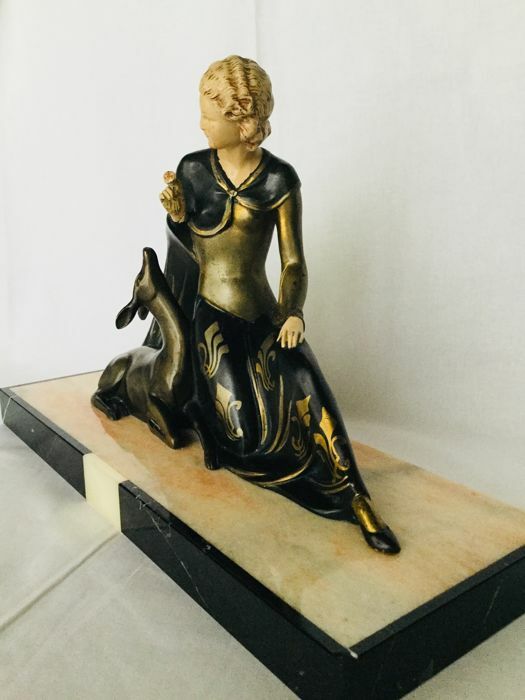 Marble pedestal W x L = 40.5 x 14.5 cm. 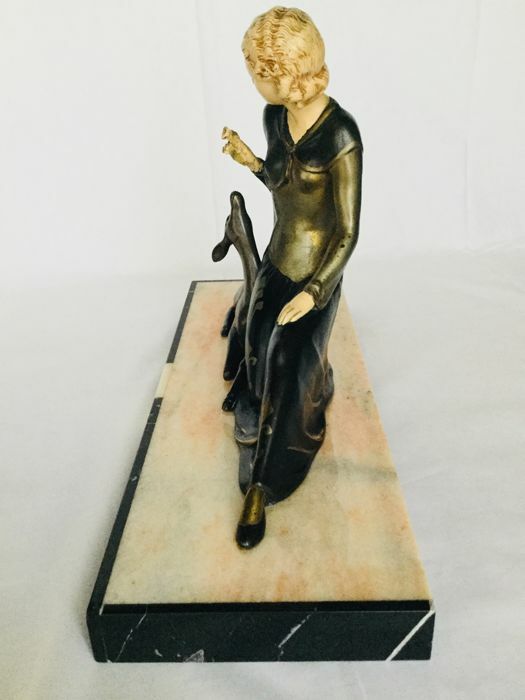 Maximum height of the sculpture = 23 cm. Total height with marble = 26 cm. 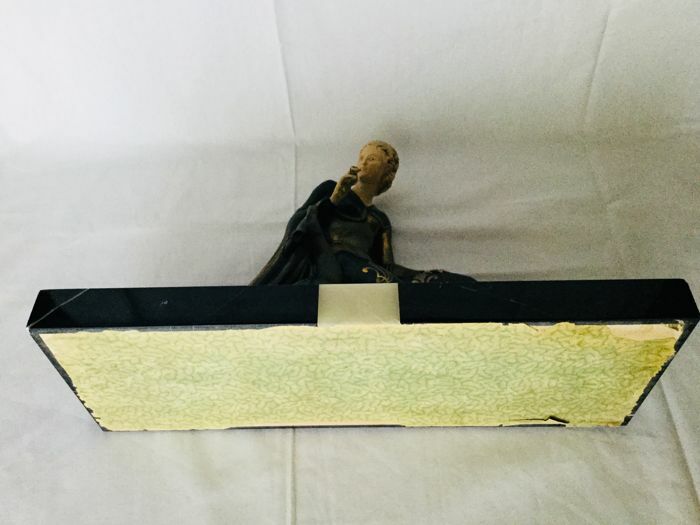 Weight approx 5 K 500grams. 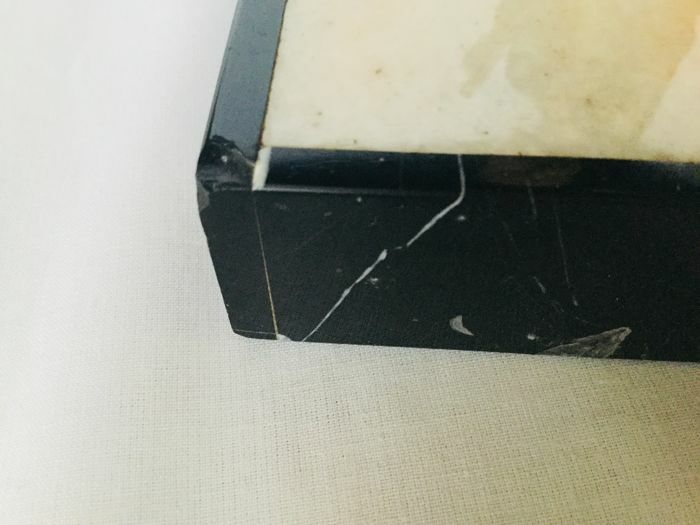 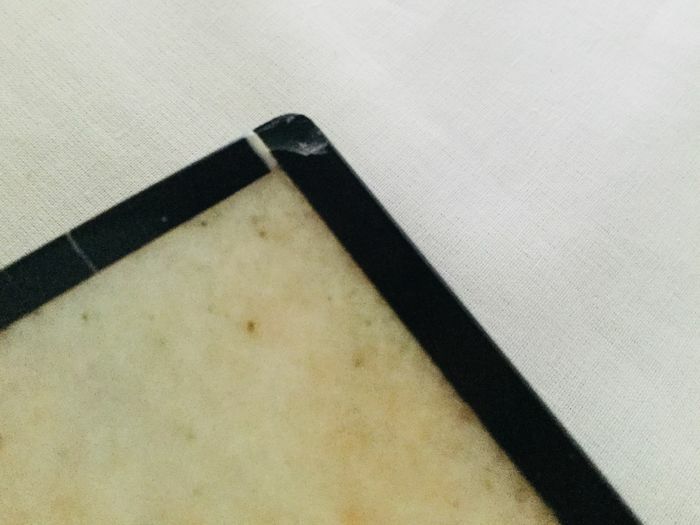 Minor signs of age, small not disturbing chip on one corner of the marble, see pictures. 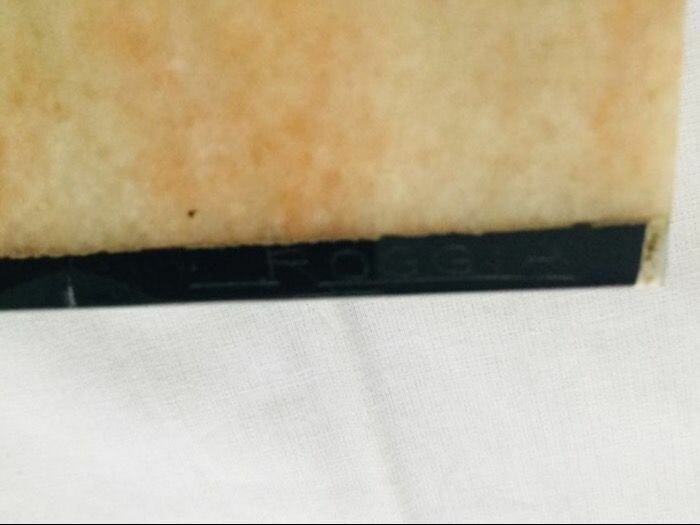 Everything will be carefully packaged and sent by registered and insured mail. 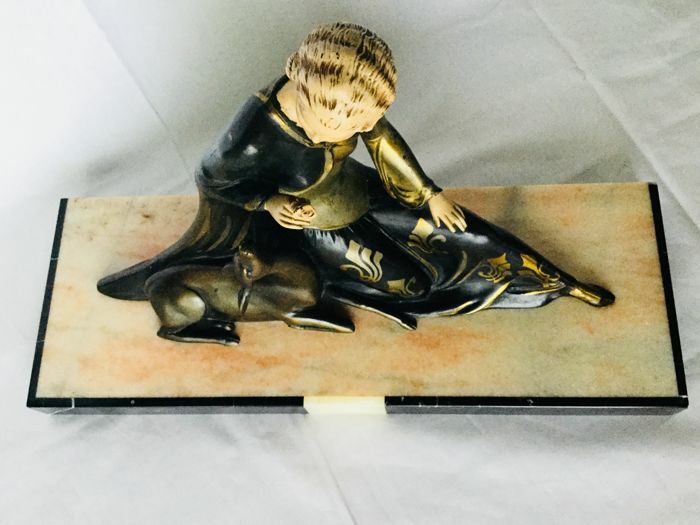 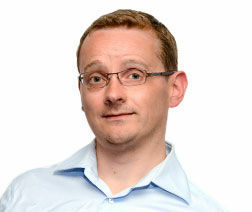 Please also take a look at my other offered lots.